Analysis: New England has kicked off the new league year by locking up depth options like Dorsett. As the receiving corps stands, he's the clear No. 2 behind Julian Edelman, pending the NFL reinstating the suspended Josh Gordon and any other additions this offseason. In his second year with the Patriots in 2018, Dorsett averaged 25 offensive snaps per game en route to 32 receptions (on 42 targets) for 290 yards and three touchdowns. 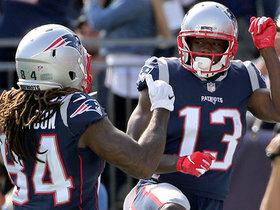 Analysis: Dorsett is still working behind Julian Edelman (10 targets) and Chris Hogan (seven targets), but in his complementary role in the Patriots offense, the speedy wideout approaches Super Bowl LIII against the Rams in the midst of a three-game scoring streak. Analysis: He'll still be working behind Julian Edelman and Chris Hogan, but Dorsett, who hasn't caught a pass since Week 12, has a chance to factor in Sunday, given that the Patriots' thinned-out wideout corps will be without both Patterson and Josh Gordon (suspension) in Week 17. Analysis: Dorsett was on the field for 27 out of a possible 75 snaps on offense Sunday, but even in the absence of Josh Gordon, he wasn't a factor in the game. It's possible that could change either in Week 17 or the playoffs, but Dorsett is off the fantasy lineup radar until he starts catching passes again. 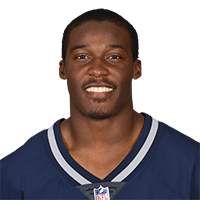 Dorsett was on the field for two of the Patriots' 62 snaps on offense in Sunday's 17-10 loss to the Steelers. Analysis: Dorsett has now gone three straight games without a target, and he'll remain off the fantasy radar until injuries hit the likes of Julian Edelman, Josh Gordon and Chris Hogan. 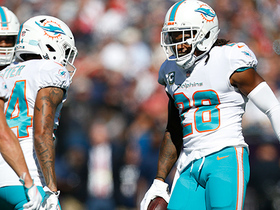 Dorsett logged seven of a possible 82 snaps on offense in Sunday's 34-33 loss to the Dolphins. Analysis: Dorsett was not targeted for the second straight game and will remain off the fantasy radar unless injuries hit the Patriots' receiving corps. Dorsett was on the field for 16 out of a possible 74 snaps on offense in Sunday's 24-10 win over the Vikings. Analysis: Dorsett was not targeted Sunday and remains off the fantasy radar until injuries hit the Patriots' receiving corps. Dorsett played nine of the Patriots' 70 snaps offensive snaps in Sunday's 27-13 win over the Jets, catching both of his targets for 10 yards. Analysis: Dorsett hasn't logged more than 15 snaps in a game since Week 5, with Julian Edelman's return from a suspension and Josh Gordon's expanded role on offense leaving fewer opportunities available. The speedster's fantasy value will remain limited unless injuries hit the team's wideout corps down the road. 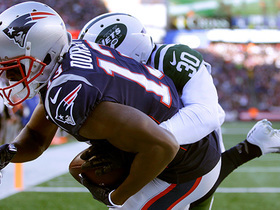 Dorsett was on the field for 15 of the Patriots' 66 snaps on offense in Sunday's 34-10 loss to the Titans. 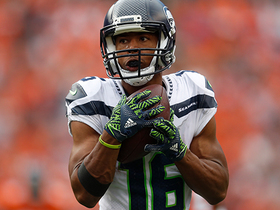 Analysis: In the process, Dorsett hauled in both of his targets for 18 yards. The Patriots are on bye Week 11, but if Julian Edelman's ankle issue ends up threatening his status for the team's Nov. 25 tilt against the Jets, Dorsett's profile in the New England offense could expand Week 12. Dorsett was on the field for 12 of a possible 71 snaps on offense in Sunday night's 31-17 win over the Packers. Analysis: Dorsett was predictably out-snapped by Julian Edelman, Josh Gordon and Chris Hogan, but he did manage to haul in all three of his targets Sunday for 30 yards. Dorsett's fantasy value remains limited, but if injuries hit the team's wideout corps down the road, he's capable of producing when given an expanded workload in the New England offense. 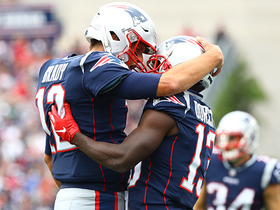 New England Patriots quarterback Tom Brady's mobility buys time for TD toss to wide receiver Phillip Dorsett. New England Patriots wide receiver Phillip Dorsett takes the end around and speeds inside the 5-yard line. 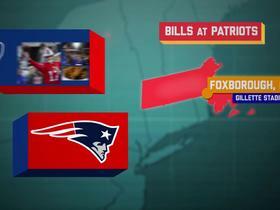 NFL Network's Mike Giardi has the latest on how the New England Patriots look to bounce back after losing wide receiver Josh Gordon to suspension. 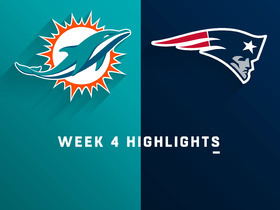 Miami Dolphins saftey Minkah Fitzpatrick intercepts first pass of NFL career thrown by New England Patriots quarterback Tom Brady. 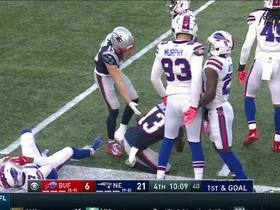 New England Patriots quarterback Tom Brady stands strong in the pocket to deliver 9-yard touchdown to Phillip Dorsett. 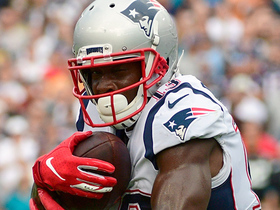 New England Patriots wide receiver Phillip Dorsett looks over his shoulder and catches the ball on the move. NFL Network's Marcas Grant offers five players you can grab off the waiver wire to help your fantasy team after Week 1 of the 2018 season. New England Patriots quarterback Tom Brady shows patience in the pocket and delivers a strike to wide receiver Phillip Dorsett for a 4-yard touchdown.